Obituary for Rose M (Sullivan) Genest | Boucher Funeral Home, Inc.
Rose M. (Sullivan) Genest, 72, of S. Ashburnham, died Sunday, January 20, 2019 in Heywood Hospital of Gardner, surrounded by her family following a brief illness. Born in Cambridge on June 24, 1946, she was the daughter of the late Patrick and Rosa (Evonik) Sullivan. Rose graduated from Gardner High School with the Class of 1965. She was presently working part-time in ticket sales at Wachusett Mountain Ski Area of Princeton. She was employed by Fibermark Corporation of Fitchburg as a Switchboard Operator for ten years, prior to retiring in 2003. She was also previously employed by Ray Plastics of Winchendon for twelve years. Rose was a former member of St. Anne’s Church of Ashburnham, and she was also a former Girl Scout Leader for many years. 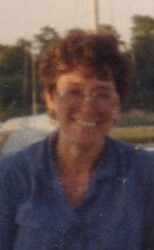 Rose enjoyed boating, traveling and horseback riding. She loved the ocean, especially her favorite beaches Good Harbor and Wingaersheek in Gloucester. Rose most enjoyed spending time with her grandchildren. She leaves her husband of 51 years, Raymond O. Genest of S. Ashburnham; daughters, Amy M. Fischer and her husband Philip of Ashburnham, and Mary K. Crumpton of Leominster; brothers, Brian Sullivan and his wife Jan of Ashburnham, and Kevin Sullivan of Gardner; sister, Sheila Sullivan of AR; grandchildren, Emily and Evan Crumpton; and cousins. Funeral Services will be held Thursday, January 24th at 6:00 p.m. in the Boucher Funeral Home, Inc., 110 Nichols Street, Gardner. Burial will be in the MA Veterans Memorial Cemetery of Winchendon at a later date. Calling hours will be Thursday, January 24th from 4:00 p.m. to 6:00 p.m. in the funeral home. Memorial contributions may be made to Montachusett Veterans Outreach Center, 268 Central Street, Gardner, MA 01440 or to Wounded Warrior Project, PO Box 758517, Topeka, KS 66675-8517. Please reference in memory of Rose M. Genest.